Nigeria’s President Goodluck Jonathan has admitted that the country’s security forces still do not know where more than 200 abducted schoolgirls are being held. The girls were taken three weeks ago from their school in Borno state by suspected Islamist militants. President Goodluck Jonathan was speaking for the first time since their disappearance amid growing criticism of the response. He has come under fire for not speaking earlier and his government has faced increasing anger from the public. “We promise that anywhere the girls are, we will surely get them out,” he said in a live TV broadcast. Goodluck Jonathan said that despite searches by the army and the air force, the girls had not been found. “It is a trying time for this country… it is painful,” he added. Islamist militants known as Boko Haram, whose name means “Western education is a sin”, are believed to be behind the kidnapping of the girls from their school in Chibok. They have waged a violent campaign in the north-east that has killed hundreds of Christians and Muslims. Goodluck Jonathan dismissed the suggestion that negotiations were taking place to secure the release of the girls, saying it was impossible to talk to Boko Haram. “You don’t negotiate with somebody you don’t know. The issue of negotiation has not come up,” he said. He said his government has spoken to the United States and several other world powers, including France, Britain and China, for help with its security issues. “We are talking to countries we think can help us out. The United States is number one. 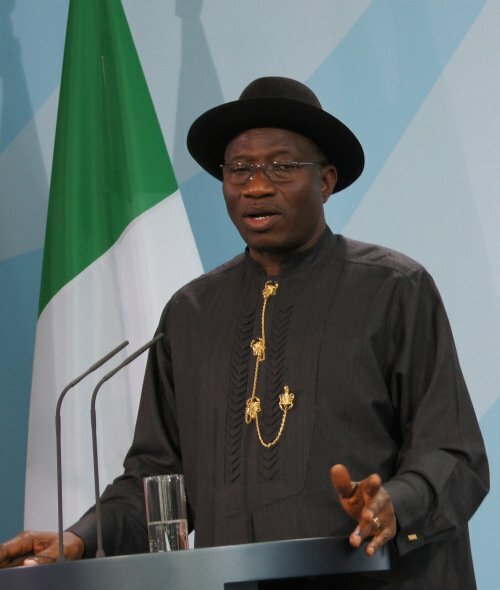 I have talked to President Obama at least twice,” Goodluck Jonathan said.